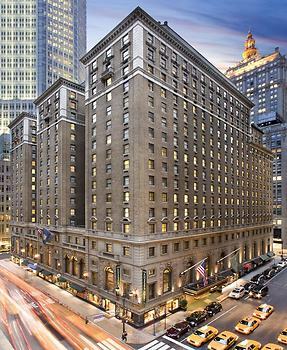 Brimming with classic elegance, this stylish New York hotel in Midtown Manhattan turns the clock back to the charming 1920s. It has a fitness center and health club, concierge service, shops and spectacular rooftop terrace. When I checked in there was a lengthy delay as the gal at the reservation desk had to verify my reservation in the office for some reason that was never explained to me.